March is a typical transition month with a lot of shows taking brief breaks before the final run on the season. Still, this month managed to deliver some truly exceptional performances all worthy of recognition. 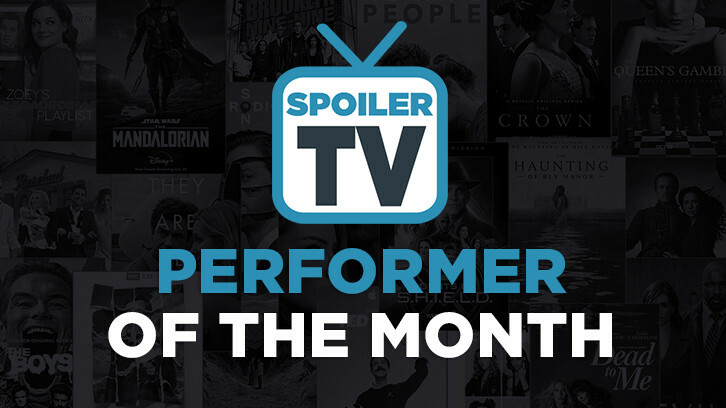 Be sure to take a moment to nominate the performers you think deserve a chance at winning the POTM title for March. The 2018 round turned out to be a year of surprises. It will be exciting to see who will win the title each month. Remember that the winners from this year will be eligible for the 2019 Performer of the Year contest in January 2020. The 2018 Performer of the Year winners are noted below and their winner articles will be out sometime later this month. Please note that a performer can now only win once per year and a show can only be represented by two winners per year. No exceptions will be made for any performer or show, so please use thoughtful consideration when making your nominations. You will have to fill out the submission form for each nominee you submit. You can submit the document up to 5 times, but each entry must be for a different performer or all of your other nominations will be disqualified. The Top 5 most nominated actresses and Top 5 actors will be placed in the poll next week to determine the Readers' Choice Performer of the Month. Because of its 2 wins already this year, Supernatural performers are no longer eligible for nomination in 2019. The 2 winners that have already won will be included in the 2019 Performer of the Year contest in January 2020, so they do still have one additional chance at winning. Nominations will run until April 7th at 6 pm ET. The poll will post on April 8th at 6 pm ET.